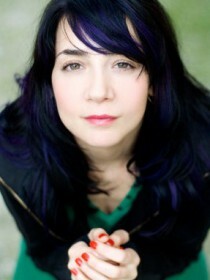 Aylin Aslım is a Turkish singer and songwriter. Aylin was born in Lich, Hessen, Germany into a Turkish family but moved back to Turkey when she was only one year old. She sang in several rock and electronica bands in several clubs in Istanbul.